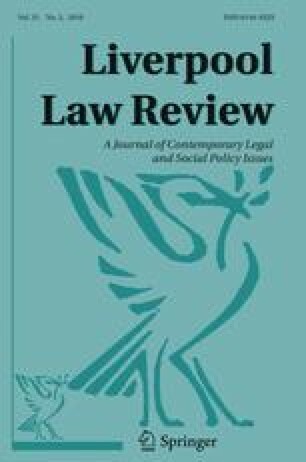 This paper explores the link between increasing incidents of hate crime and the asylum policy of successive British governments with its central emphasis on deterrence. The constant problematisation of asylum seekers in the media and political discourse ensures that ‘anti-immigrant’ prejudice becomes mainstreamed as a common-sense response. The victims are not only the asylum seekers hoping for a better life but democratic society itself with its inherent values of pluralism and tolerance debased and destabilised. H. O’Nions is most grateful to comments on earlier drafts from Dr. Loretta Trickett and Dr. Jonathan Doak both of Nottingham Law School. Article 19 Project. 2003. University of Cardiff. Available at: http://www.cardiff.ac.uk/jomec/research/researchgroups/racerepresentationandculturalidentity/fundedprojects/article19project.html. Accessed 14 July 2010. EuroActiv News. 2008. 29 January 2008 and response of 27 June 2008. Available at: http://www.euractiv.com/en/socialeurope/spain-explains-directive-shame-latin-america/article-173727. Accessed on: 11 Dec 2010. Ginn, E. 2009. Intercollegiate briefing paper: Significant harm—the effects of administrative detention on the health of children, young people and their families. Royal College of General Practitioners, Royal College of Paediatrics and Children’s Health, Royal College of Pyschiatrists and the UK faculty of Public Health. Available at: http://www.medicaljustice.org.uk/images/stories/texts/significant%20harm%20intercollegiate%20statement%20dec09.pdf. Accessed 14 July 2010. HM Government. 2009. Hate crime-cross government action plan. London: HMSO. Available at: http://library.npia.police.uk/docs/homeoffice/hate-crime-action-plan.pdf. Accessed 14 July 2010. Homelessness Link. 2000. Homelessness amongst migrant groups. March. Available at: http://www.homless.org.uk/migration-project. Labour Party Manifesto. 2010. A future fair for all. Available at http://www.Labour.org.uk. Press Complaints Commission. 2003. Code of practice http://www.pcc.org. UNHCR. 2010. Asylum levels and trends in industrialized countries in 2009: statistical overview. UHHCR. Available at: http://www.unhcr.org.uk/news-and-views/news-list/news-detail/article/number-of-asylum-seekers-remains-stable-over-2009-unhcr-figures-show.html. Accessed 11 Dec 2010. YouGov survey for Commission for Racial equality: Racial Equality. 2004. Available at: http://www.youcov.co.uk/corportae/archives/press-archives-social-Main.asp?dID=2005.